Did you know that there are about 25 different species of mint? Peppermint, however, is actually a hybrid of two of those species: watermint and spearmint. You may know it best as a flavoring in some of your everyday household products and food like toothpaste, gum, tea, candy, and mint flavored ice creams. When used as a flavoring, peppermint may seem to be only a comfort food, but it is also an age-old herbal medicine that has been used to treat a wide range of conditions from symptoms related to the common cold to various abdominal woes. This history of the mint is a colorful one and is most honored in a Greek myth. In the myth, the plant was originally a nymph named Minthe. Persephone transformed her into a plant due to jealousy from attention Minthe received from her husband, Hades. Hades showed mercy on Minthe and endowed her with the sweet smell associated with mint, so that when brushed upon, her aroma would be delightful to the senses. The smell of this plant has made it one of the most popular perfuming herbs in history. It has been used and cultivated around the globe. Today, the herb is probably most prized for its relaxing effects. According to the University of Maryland Medical Center, "Because it has a calming and numbing effect, it has been used to treat headaches, skin irritations, anxiety associated with depression, nausea, diarrhea, menstrual cramps, and flatulence." Several studies support the benefits of peppermint for relief of indigestion and irritable bowel syndrome. In fact, three double-blind trials found that enteric-coated peppermint oil reduced the pain associated with intestinal spasms, commonly experienced in IBS, since peppermint has a relaxing effect on the muscles of the digestive and urinary system. It is also useful for treating spasm problems in the urinary tract. And it has strong antibacterial and anti-fungal properties, which help rid the kidneys of infection. 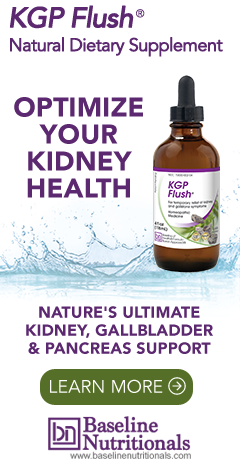 For these reasons, Jon uses peppermint in his kidney flush formula, a powerful kidney detox that may help relieve the symptoms of kidney stones and gallstones. The oil of the peppermint is also commonly used as a pain reliever. This is due to the menthol, which comes from peppermint. Menthol is an organic compound with the chemical formula C10H20O that occurs naturally in mint. It can be extracted from the leaves by distillation, but is more commonly made synthetically. As might be expected, natural menthol is preferable to synthetic (and more expensive). Menthol is known to increase blood circulation and cools painful afflicted areas. This is why you'll find natural menthol crystals in Jon's muscle and joint oil formula. It is also a common topical remedy for headaches, chest congestion, and other symptoms of the common cold. Since the smell of peppermint is widely considered by many to be invigorating, peppermint leaf can make a delicious and caffeine-free start to the morning. It can also act as a digestive aid after meals. And it is considered one of the six core essential oils used in aromatherapy. The ways to prepare peppermint are nearly as varied as the conditions for which it is used by herbalists as a treatment. You can use it fresh or dried. You may also find it as an oil, tea, in rubs or ointments, as well is in capsule form. And, as mentioned previously, in its essential oil form, it may be used for aromatherapy as well. Though application of peppermint for temporary use has many good effects, its long term use is not free from some adverse impacts; it may trigger impotency and loss of inclination. in many cases. Long use of peppermint may also develop stomach ulcer in many. In many cases of stomach ulcer, I detected, had a long history of use of peppermint.Similarly,it may help a bit in easing symptoms of colds initially, but one should be careful to inhale its vapors frequently, because one may unnecessarily expose himself/herself to respiratory tract infections. Aside from the long-term use precautions, have there been observations of beneficial effects/outcomes when applied to homecare/hospice care?